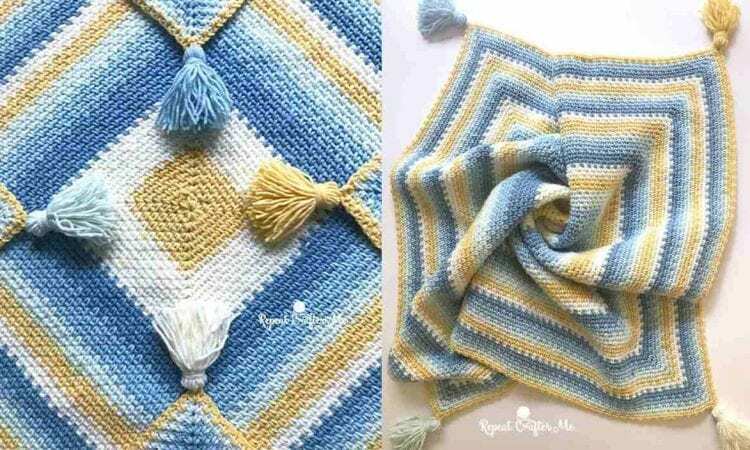 Here is an unusual use of the moss stitch to make a square blanket. This highly textured project will be a very decorative piece. It’s possible to use any color combo, but the ones shown in the pictures are particularly beautiful. The corner tassels really give it a polished look. A link the free pattern is at the end of the post.